"Insight on Agile Testing from the Next Generation Testing roundtable"
Agile testing and development is growing in popularity and smart QA/testing teams keep pace with current development trends. Implementing Test Automation in Agile Environments is quite challenging in the present scenario. 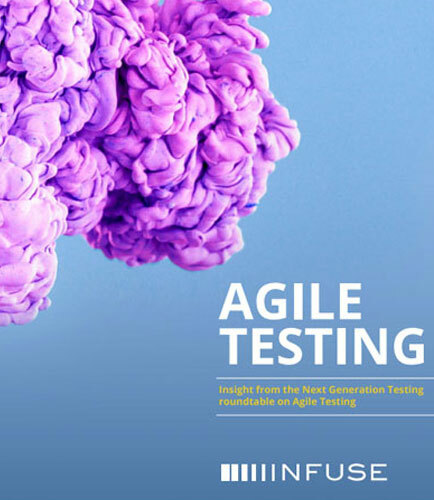 This whitepaper is based on a round table discussion on Agile Testing. It discusses about maintaining and reviewing automated tests in agile Environments and different agile testing methodologies. Enterprise Agile: How can you manage a project that has multiple Agile delivery teams? Test Automation in Agile: How can you get valuable tests automated during a sprint? Test Estimation: How can developers and testers effectively estimate one another’s’ stories?